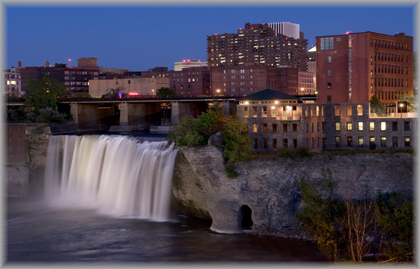 Effective on May 22, 2014, the City of Rochester, NY will impose Ordinance #2014-155. This “Ban-the-Box” legistation restricts employers in the city from asking about and using criminal records. Effective 180 days from May 22, 2014, it shall be an unlawful discriminatory practice for an employer to make any inquiry regarding or to require any person to disclose or reveal criminal records on an employment application. Consideration of an applicant’s prior criminal conviction(s) shall take place only after an employment application is submitted and after an initial employment interview. It shall be an unlawful discriminatory practice for an employer to make any inquiry regarding or to require any person to disclose or reveal, any criminal conviction against such person before a first interview or a conditional offer of employment has been made. If an employer does not conduct an interview, that employer must inform the applicant whether a criminal background check will be conducted before employment is to begin. An employer hiring for licensed trades or professions, including positions such as interns and apprentices for such licensed positions, may make an inquiry of applicants prior criminal records if such inquiry is required by the trade or professional licensing body or by New York State or Federal law. An employer hiring for positions where certain criminal convictions or violations are a bar to employment in that position under New York State or federal law shall not be prohibited from asking questions about those convictions or violations during the application process. The employer shall comply with Article 23-A of the New York State Correction Law when considering an applicant’s prior criminal conviction(s) in determining suitability for employment. In accordance with Article 23-A, nothing in this article shall be construed to limit an employer’s authority to withdraw conditional offers of employment for any lawful reason, including the determination that the candidate has a conviction that bears a direct relationship to the duties and responsibilities of the position sought, or that hiring would pose an unreasonable risk to property or to the safety of individuals or the general public. The prohibitions of this article shall not apply if the inquiries or adverse actions prohibited herein are specifically authorized by any other applicable law. The prohibitions of this article shall not apply to the Department of Police or the Department of Fire, or to any other employer hiring for police officer and peace officer positions, as defined by Criminal Procedure Law §§ 1.20 and 2.10.